You are able to contribute to the World Affairs Councils of America at no additional cost to you! If you shop at Amazon through this link or the Amazon Smile logo to the right, a portion of your purchase will be donated to WACA. 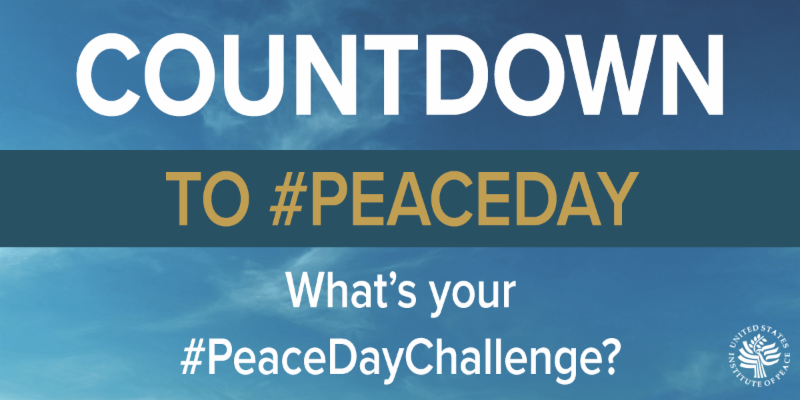 Bookmark our page today! Early-bird deadline is expiring TODAY, September 7! Also: our Table of Eight promotion has been extended - be sure to check it out! Ivo Daalder and James Lindsay are co-authors of the forthcoming book The Empty Throne: America's Abdication of Global Leadership. Discounted copies will be available for sale at the Conference. Bookmark the WACA 2018 National Conference website for speakers and program updates! Mayflower Hotel in Washington, DC. $259 / night (Single/Double Occupancy) plus tax. “Canada will not be signing a deal unless it is in the interest of Canadian workers, the Canadian middle class, and Canadians in general…We’ve been very clear that there are a number of things that we absolutely must see.” Canadian Prime Minister Justin Trudeau at a televised news conference in Vancouver on Tuesday. President's Letter; Council of the Month: Santa Fe; Early-bird Conference Deadline; Cover to Cover; Engage America Grant Programs; New WACA Interns; Council Jobs, and News! The stakes have rarely been higher for the news media. Fifteen to 20 years ago, a top concern of journalists was how the Internet and new technologies would change the ad-driven business model that supported news gathering and delivery, and whether their companies and jobs would continue to exist. These days, as attacks from an American president on what he deems “fake news” increase and, more dangerously, morph into an authoritarian assault targeting journalists as “the enemy of the people,” the threat is far greater – to democracy itself. Globally, this worrisome trend emboldens those in power where protections for reporters were already weak; for established and emerging democracies, it erodes discourse, citizenship, and governance. On Monday, a Myanmar judge found two Reuters reporters, Wa Lone and Kyaw Soe Oo, guilty of breaching a law on state secrets and jailed them for seven years. The Washington Post, in an editorial the day before, decried the imprisonment and killing of journalists “to smother vital truths." Meanwhile, New Yorker magazine is now caught up in controversy for inviting and suddenly disinviting Steve Bannon as a headline speaker for its eponymous Festival. Vox today carried a worthwhile take on this New Yorker-Bannon story and the double bind journalists find themselves in today. 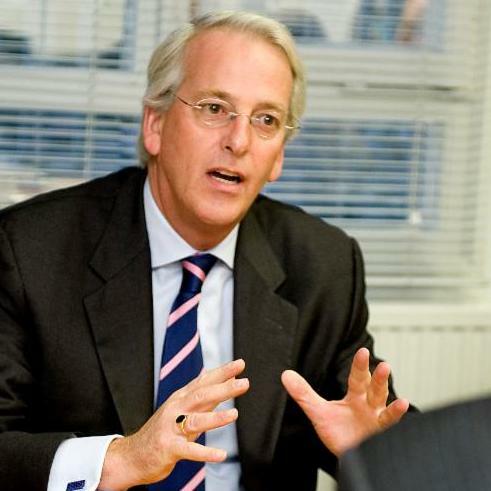 Councils could face similar perils when it comes to engaging certain speakers for their events. 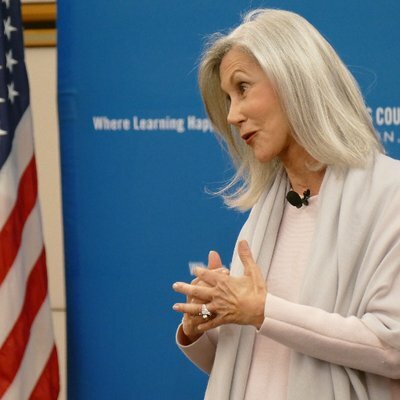 The WACA National Office urges courage, and we commend the Santa Fe Council on International Relations – our Council of the Month – for putting together a timely and aptly-named conference in December: Journalism Under Fire. Early-bird deadline is expiring in 3 days on Friday, September 7! Join our Cover to Cover conference call on Tuesday, September 11, at 2:00-2:30 pm ET, featuring C.J. 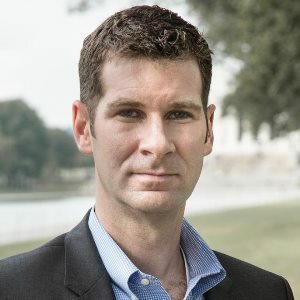 Chivers, two-time Pulitzer Prize-winning correspondent for the New York Times, on his new book, The Fighters: Americans in Combat in Afghanistan and Iraq. 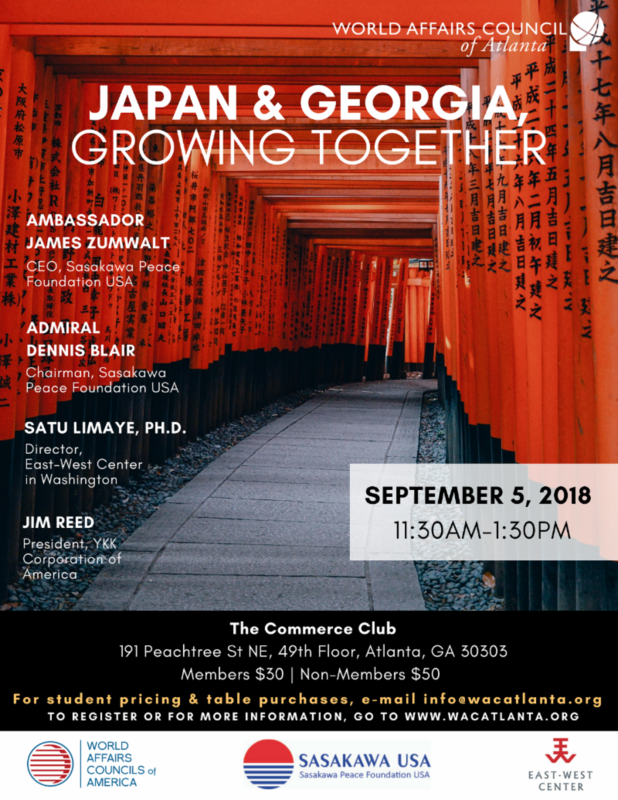 The World Affairs Council of Atlanta holds its Alliance Working in America Series program, co-sponsored by WACA and its grant funder Sasakawa Peace Foundation USA, on September 5. 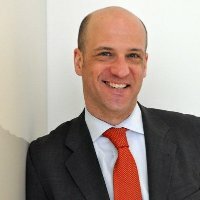 The TAWA program, “Japan and Georgia, Growing Together,” which will discuss contemporary U.S.-Japan relations and benefits to the State of Georgia. 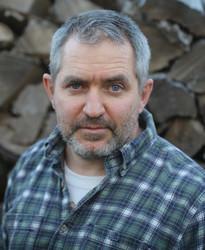 Speakers include: Admiral (Ret.) 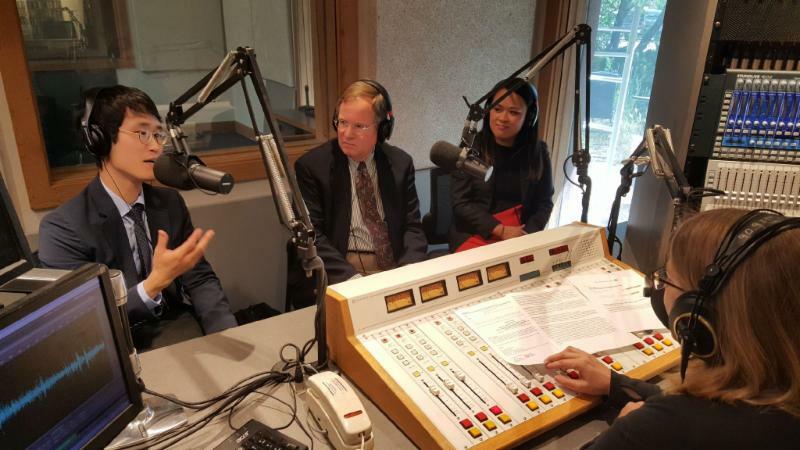 Dennis Blair, Dr. Satu Limaye, YKK America President Jim Reed, and Ambassador James Zumwalt. Learn more. WAC Atlanta's event is the third in the Alliance Working in America Series. 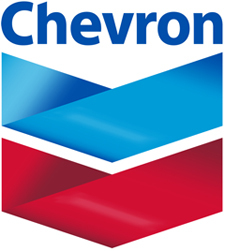 Previous programs have been held by WorldOregon and WAC Greater Houston. Stay tuned for a fourth edition in spring 2019! World Affairs Councils around the country resume hosting Engage America Future of Korea 2018 and Oman 2018 programs. These series are co-sponsored by WACA and its grant funders Korea Economic Institute and Sultan Qaboos Cultural Center. World Affairs Council of Harrisburg will present a panel of experts for its Reception & Forum: The Future of Korea on Sept. 20. Details here. World Affairs Council of Charlotte will host a panel of experts for History in the Making: The U.S. and the Korean Peninsula in 2018 on Sept. 26. Details here. World Affairs Council of South Dakota will feature Dr. Linda Pappas Funsch for Oman’s Role in Promoting Peace in the Middle East on Sept. 13. Details here. World Affairs Council of Dallas/Fort Worth will present Dr. Anne Rasmussen for Music and The Omani Arts Economy on Sept. 29. Details here. Early-bird deadline is expiring in 10 days on Friday, September 7! Remembering John McCain; Rohingya Crisis One Year On; Uganda's Crackdown; Land Reform in South Africa; Australia's New PM; Taiwan’s Allies Dwindle; Macron’s Call for European Defense; U.S. Foreign Aid Rollback? -- Sen. John McCain’s former presidential campaign manager and family spokesperson Rick Davis, reading aloud the text of the senator’s farewell statement at the Arizona State Capitol. “At that time I liked him personally for his toughness and strong stance. Later on, when he became a U.S. Senator, he and Senator John Kerry greatly contributed to promote Việt Nam-U.S. relations so I was very fond of him. When I learnt about his death early this morning, I feel very sad. I would like to send condolences to his family. I think it’s the same feeling for all Vietnamese people as he has greatly contributed to the development of Việt Nam-U.S. relations." -- Colonel Trần Trọng Duyệt, the man in charge of the prison where John McCain was held as a POW, speaking with Viet Nam News having learned of Senator McCain's death on Saturday. The National Board of Directors of the World Affairs Councils of America is pleased to announce that WACA will offer 25 scholarships for undergraduate students from the Council network to attend our 2018 National Conference - Braving the New World Order - November 7-9 at The Mayflower Hotel in Washington, DC. The WACA Board, in partnership with The Gambrinus Company and Mr. Carlos Alvarez, is offering these scholarships in order to fulfill our educational mission and to prepare future leaders for the challenges and opportunities of the 21st century. The Conference -- coming right after the midterm elections -- promises to be a special occasion for our network of Council leaders, members, friends, and students to engage with many leading policy makers and analysts about critical foreign and trade policy issues and America's role in the world. Special subscription discount for WACA Members! It's a pleasure to share an exciting opportunity with you. 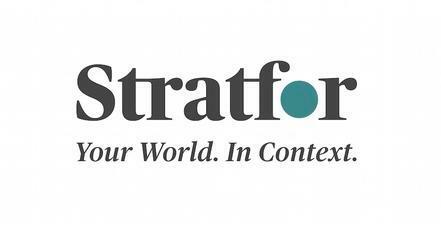 As part of WACA's evolving partnership with Stratfor, the Austin, Texas-based company renowned for its geopolitical intelligence platform, we are pleased to offer a significantly discounted annual subscription to Stratfor Worldview for members of WACA and local Councils. 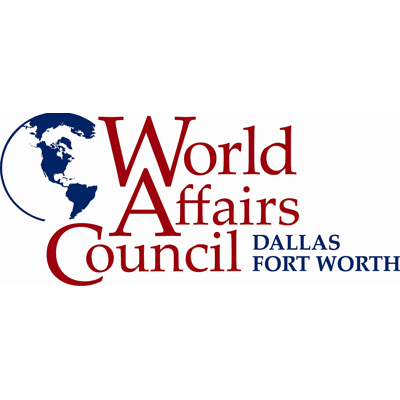 The World Affairs Council of Dallas/Fort Worth is investing in the next generation with discounted educator and school memberships, free student tickets for speaker programs, International Career Day, internships, and the International Educator of the Year awards. Additionally, the unique “20 Under 20” program was added in 2016 to shine a spotlight on young people who give back to their communities and exemplify what it means to be a global Texan. The driven group of students that make up the 20 Under 20 Class of 2018 participated in three days of the leadership program in June, meeting with leaders in various industries including the Dallas Business Journal, the City of Dallas’s Office of Welcoming Communities and Immigrant Affairs, Azteca America TV 55 Studios, the Canadian Consulate, UT Dallas Center for Brain Health, and Texas Central Partners. The Council's investment in the students of Dallas-Fort Worth has paid off: Plano West Senior High School has won WACA's Carlos and Malú Alvarez Academic WorldQuest National Competition two years in a row. 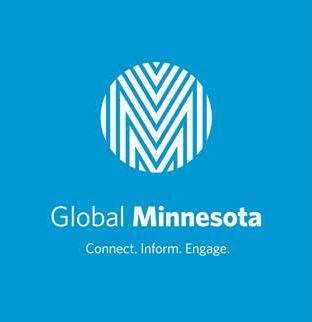 Global Minnesota seeks an outstanding and experienced international affairs and nonprofit sector leader to serve as its President. This role will develop the organization’s engagement throughout Minnesota using the 5-year Strategic Plan as a roadmap with the goal of deeper awareness and understanding of global economic, political, social, and cultural ideas and issues. Apply here. CCWA is seeking a Chief Executive Officer. The ideal candidate will bring proven strategic and hands-on leadership experience to fulfill CCWA’s mission to inspire engagement in international affairs and world cultures through education, citizen diplomacy, and public dialogue. Apply here. World Affairs Council of Inland Southern California host Dr. Haroon Ullah, Chief Strategy Officer at Broadcasting Board of Governors, for “Fighting for Cyber Supremacy in an Age of Extremism.” Details Mr. Ullah was last December's Cover to Cover author. World Affairs Council of Jacksonville host Dr. Madiha Afzal, author and adjunct assistant professor at Johns Hopkins, for “Quarterly Saloon – Pakistan Under Siege: Extremism, Society, and the State.” Details Ms. Afzal was this past April's Cover to Cover author. "We are a global society, and I believe it is through open dialogue and the exchanging of ideas that we have a real opportunity to learn from one another." -- First Lady Melania Trump, issuing a public statement Monday, in which she announced plans to travel to Africa without her husband in October. Peeling back the "Sugar Curtain" to examine several decades of stormy relations between the U.S. and Cuba, Vicki Huddleston, the top diplomat in Havana under Presidents Bill Clinton and George W. Bush, provides an essential memoir. Huddleston also peers into the future, when for the first time in more than six decades no one named Castro will be Cuba's leader. 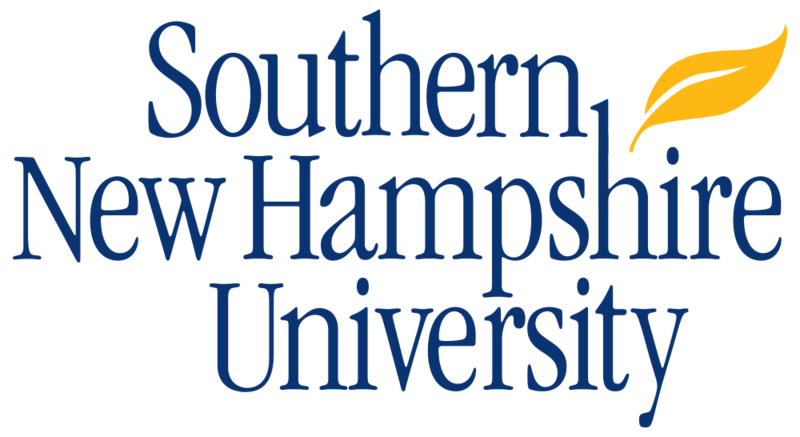 Register now for the conference call Wed., Aug. 22, at 2-2:30 PM ET. The application deadline is Friday, August 24, 2018. If you have any questions, please send an email to Liz Brailsford at the WACA National Office at lbrailsford@worldaffairscouncils.org. 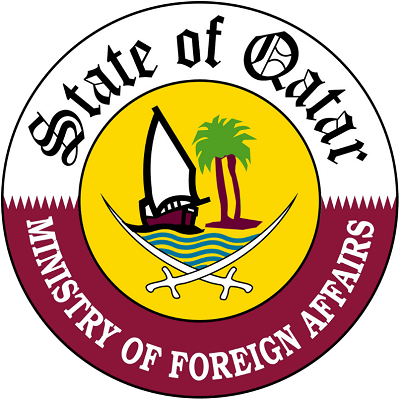 The World Affairs Councils of America is delighted to announce that the Embassy of the State of Qatar in Washington, DC will sponsor a WACA Leadership Mission to Qatar, this October. Note: Flights will depart from United States airports on Friday, October 12, and arrive in Doha on Saturday, October 13. 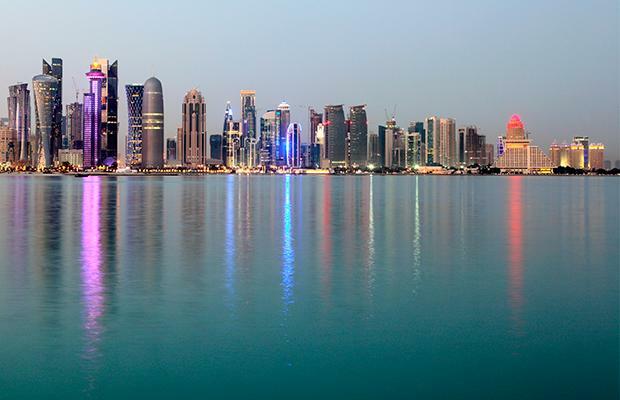 Return flights will depart Qatar on Friday, October 19. 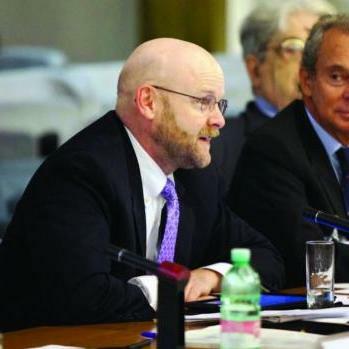 This WACA Leadership Mission will be comprised of a Qatar Embassy representative, WACA President and CEO Bill Clifford, and a minimum of 10 delegates from the Council network. Participants will have the opportunity to engage in dialogue with top government officials, business leaders, journalists, and other experts to gain a better understanding of the political, national security, economic, social, and cultural landscape of the host country. See complete details. 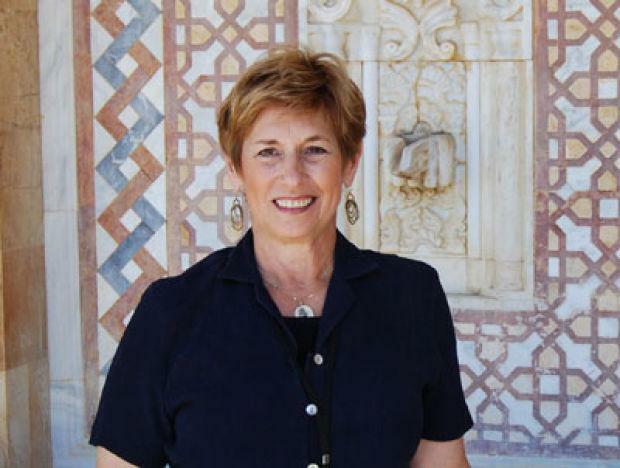 The World Affairs Council of Albuquerque featured Dr. Linda Funsch last Wednesday for its Engage America: Oman program, co-sponsored by WACA and its grant funder Sultan Qaboos Culture Center. The audience rated Dr. Funsch's comprehensive presentation, “Oman - Past and Present," as excellent and were pleased to learn about the history and the contemporary affairs in this strategically-located country. A key takeaway was that Oman is a far more progressive society than many of its neighbors while still maintaining a solid relationship with its history and traditional culture. WACABQ's program is the latest in the WACA Engage America: Oman 2018 Series. Next, South Dakota WAC and WAC Dallas/Fort Worth will host experts recommended by the Sultan Qaboos Cultural Center. 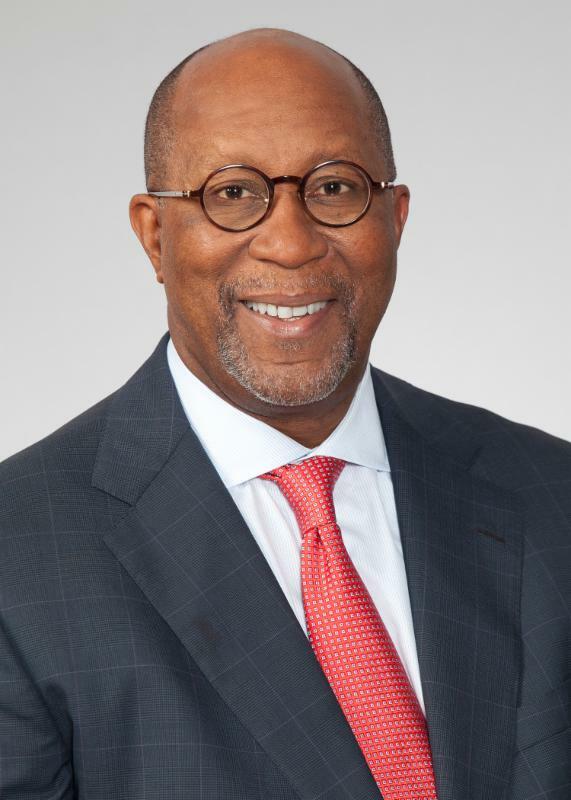 The World Affairs Council of Dallas/Fort Worth will honor former U.S. ambassador and former Dallas Mayor Ron Kirk for his public service, civic, and business leadership with the H. Neil Mallon Award at its 35th annual dinner on October 12 at the Hilton Anatole Hotel. One of the most respected and admired individuals in the Dallas/Fort Worth community, Ron Kirk is a 30-year public servant and legal veteran. He serves as senior counsel in the Gibson, Dunn & Crutcher’s Dallas and Washington, DC offices, and provides leadership for a number of corporate boards and charitable organizations. Honorary event chairs are former President Barack Obama, Dallas Mayor Mike Rawlings, and Fort Worth Mayor Betsy Price. Click here to learn more about participating or call 214-695-8400.